Ok I have one main problem with the game. And It's kind of big. I recently transferred from my old phone to this one. AND ALL OF MY PROGRESS GOT DELETED!!!!! I JUST GOT THE KING DRAGON DOJO AND I LOST EVERYTHING!!!!!! So thats my main problem. Horrible Game..Where Did It All Go?? Back in 2012 this game was amazing, didn't have to pay as much, no power ups, easier to slice and it was amazing. Now you update it, removing everything fun now it just makes the creators seem so.. Greedy. It's ridiculous! "Restore purchases" doesn't even work too, it just says "Success" and I went to go check my blades.. NOTHING! ?Nice job making it worse oh and did I mention. THERES the same version of this game but you have to PAY? Wow next time you make a game, don't seem so greedy. This game's reputation has been plummeting as time goes on, as so has my patience. I have lost ALL my progression (level 50, all my high scores) as soon as I updated the app, having unlocked blades and backgrounds since the free fruit ninja game. Now I'm level one, with no High scores, no blades or backgrounds. IT'S ALL GONE. All the time and effort I've put in to this game, has all went down the drain. Such a Disappointment. Not to mention, these horrible decision making on what should be taken out and put into the game (whether it was for money), these updates have been ruining the game. This is my way of releasing the amount of frustration that has been developing due to the incomprehensible decisions that have been made. In addition, this is also a warning, for anyone that's coming in to play this game. The game itself isn't whats the problem, the problem is the path that the game is taking. Who doesn't love cutting things? And fruit, even better!???! 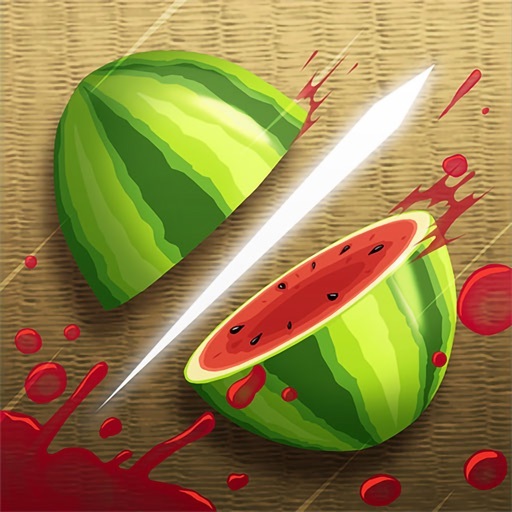 I have loved fruit ninja since I was little. And I still do. Whoo! Puss In The Boots were so much better than this. Not happy anymore. Most recent version freezes and slows to a crawl at random times for no apparent reason. My iPhone 6s will have to live without FJ now. Sad face. Fruit Ninja was one of the best games like at iOS 5, geez. It got even better when you made more blades. But it got worse when you had to get levels to unlock blades. That was fine for me. I just recently noticed today that you made it paid. YOU GUYS ARE THE WORST. HALFBRICK, PLEASE MAKE IT FREE, AND REMOVE DARN LEVELS!!! I will rate 5 stars if you fix it back.